The trailer for Rian Johnson’s Star Wars: The Last Jedi debut during this week’s edition of “Monday Night Football.” Lucasfilm announced that it would show the trailer during halftime of the contest between the Vikings and the Bears. Experience The Last Jedi in an IMAX Regal Cinema on 12/16, 12/23 & 12/30 to receive a new collectible ticket each week! 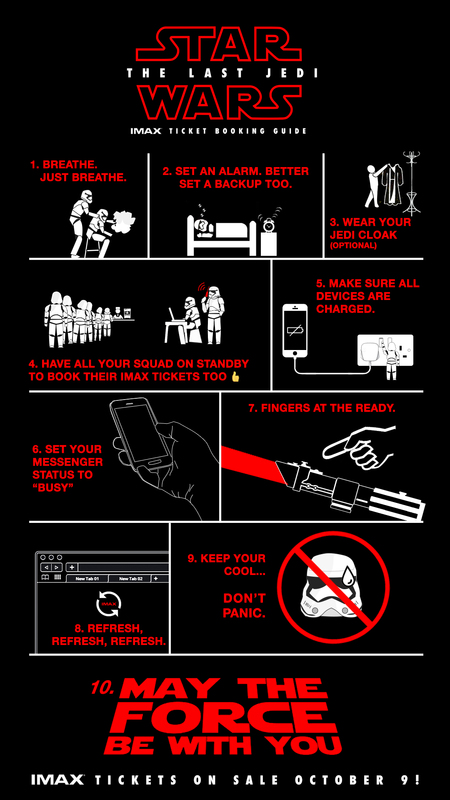 When you see The Last Jedi in an IMAX at AMC theatre on 12/17, 12/24, 12/31 & 1/7, you’ll receive a new print by artist Dan Mumford each week! 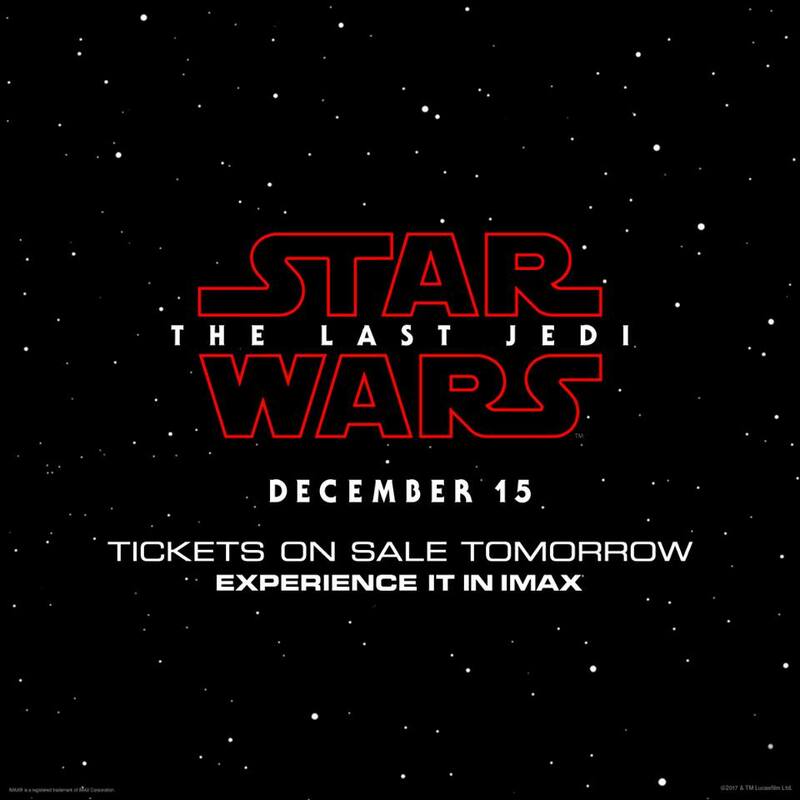 You can also see The Last Jedi early at select IMAX theatres on Thursday, December 14th! These premium events will include exclusive content, collectible Star Wars trading cards, and a special concession offer. Check with your local theatre for details. Select theatres will play this Star Wars Double Feature for one night only on December 14th, featuring Star Wars: The Force Awakens and Star Wars: The Last Jedi. These premium events will also include exclusive content, collectible Star Wars trading cards, and a special concession offer. For more information about the Star Wars Double Feature, click HERE.